For Lebanon’s largely religious, family-oriented society the alarming rate of divorce in the country is a sensitive issue. Whether you blame the economy, social pressures or simply a global trend, there is no doubt divorces are occurring more frequently than ever before, and while divorce is still widely considered taboo in Lebanon, this uptick has made it an increasingly prominent subject for popular discussion. 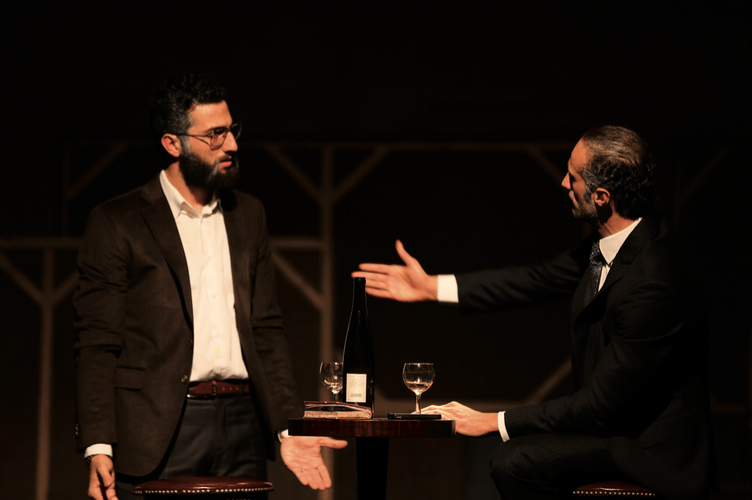 So, it’s no surprise that divorce has made it onto the stage, addressed carefully and comically in Carlos Chahine’s new adaptation of “Dinner with Friends” or “Kif Ken el Asha,” which premiered at Monnot Theater on March 23 and is continuing its run through April. 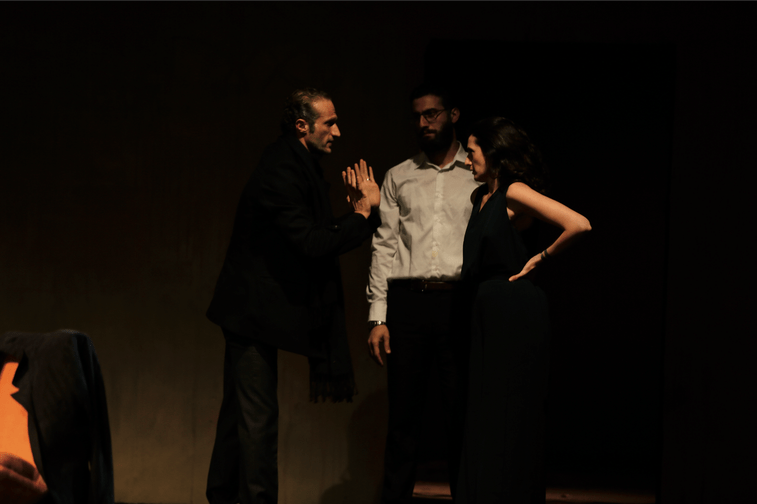 A Lebanese take on the Pulitzer Prize-winning play by Donald Margulies, which was made into a 2001 movie of the same title starring a quartet of Hollywood A-listers, it’s a look at a married couple’s breakup from multiple perspectives. It’s a story of love, desire, monogamy, fidelity, and friendship that starts with a dramatic dinner and announcement of divorce. The two couples in the story have been friends for years, and with each scene, the plot thickens and layers of both couples’ relationships are peeled away. It’s not nail-biting suspense, but rather more the gradual revelations of the true character of each person, much like real life. As the audience sees both couples interact with each other, and how their own relationships change with time and as a result of the news, it’s clear that there are multiple sides to every story. There isn’t a “right” solution to issues in relationships, and marriages go through different kinds of natural progressions. Ultimately, the play doesn’t dictate a moral as much as it illustrates variations and evolutions in matrimony and friendship. After two months of rehearsals the comedy-drama looks great live on stage, starring local talents Alain Saadeh, of last year’s box office success “Very Big Shot” or “Film Ktir Kbir,” Serena Chami, who’s starring in the recently released film “Mahbas,” as well as Joseph Zaitouny and Sahar Assaf. 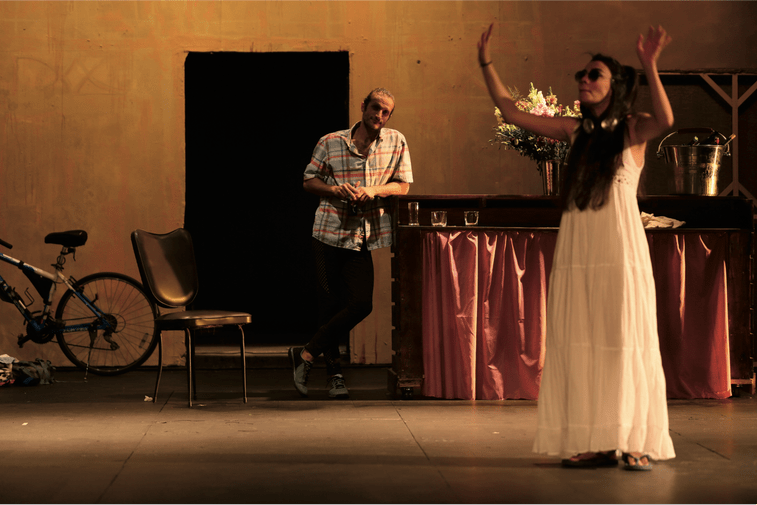 The production’s picturesque but simple sets change with each scene, with melodic Arabic love songs playing while stagehands rearrange the setting in the dark. It’s a painful debate many couples encounter, but divorce definitely deserves a conversation. Talking openly about this and other taboos encourages understanding and sensibility. Seeing divorce discussed on a live stage, approached with lightheartedness, sincerity and seen from multiple angles, may not stop divorces from happening, but it’s a great example of how art can contribute to enlightening society, alleviating people’s pains and helping them feeling less alone in difficult times.